The president spoke to ABC News about his meeting with Kim Jong Un. 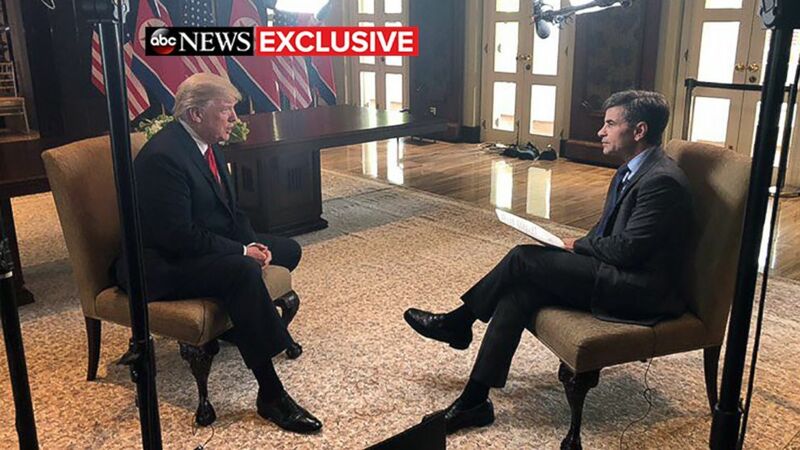 (ABC News) President Donald Trump sits with ABC News' George Stephanopoulos after a historic summit with North Korea's Kim Jong Un at the Capella Hotel on Sentosa island in Singapore, June 12, 2018. 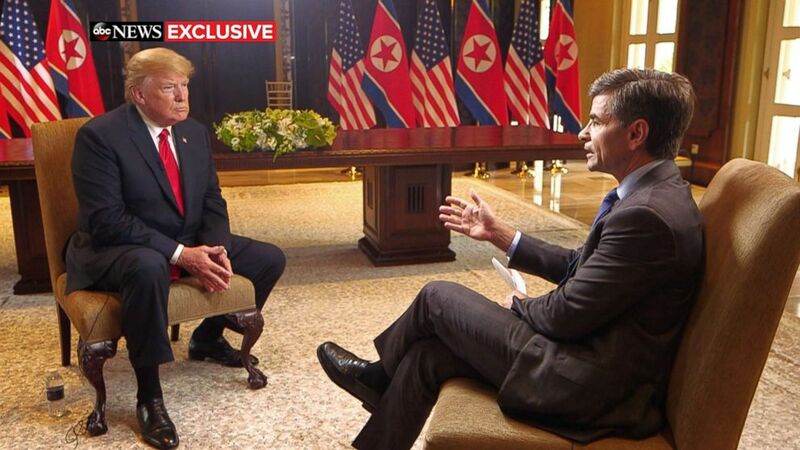 (ABC News) President Donald Trump talks to ABC News' George Stephanopoulos after a historic summit with North Korea's Kim Jong Un at the Capella Hotel on Sentosa island in Singapore, June 12, 2018. 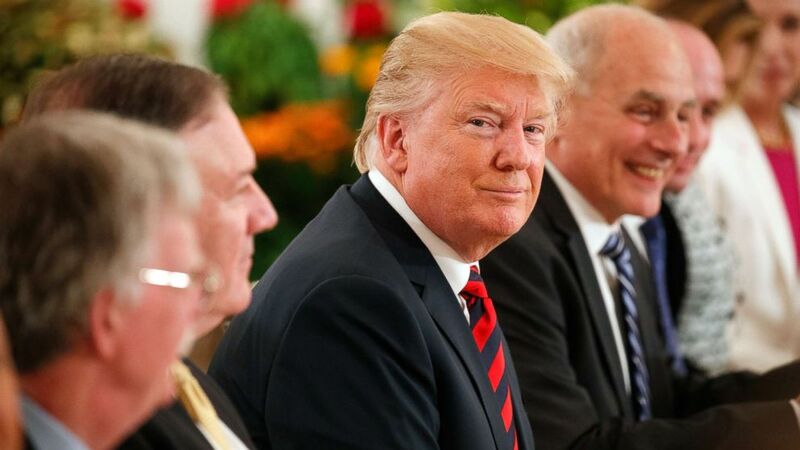 (Evan Vucci/AP) President Donald Trump listens during a meeting with Singapore Prime Minister Lee Hsien Loong ahead of a summit with North Korean leader Kim Jong Un, June 11, 2018, in Singapore. 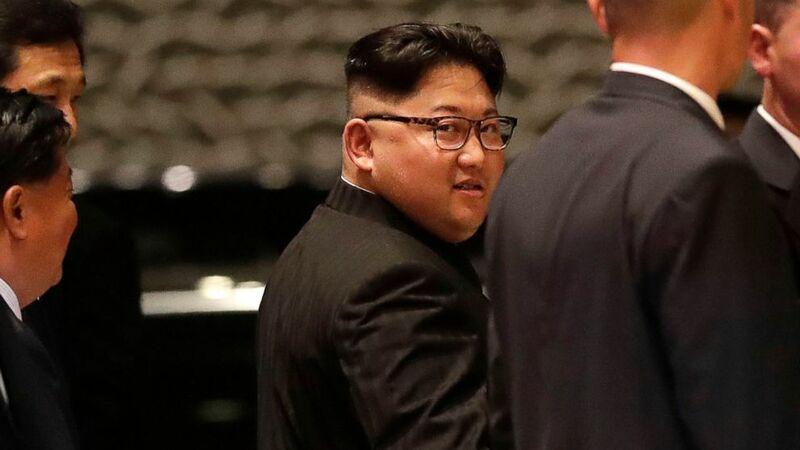 (Mast Irham/EPA-EFE via REX/Shutterstock) North Korean leader Kim Jong Un walks out from the Marina Bay Sands hotel during a city tour in Singapore, June 11, 2018.